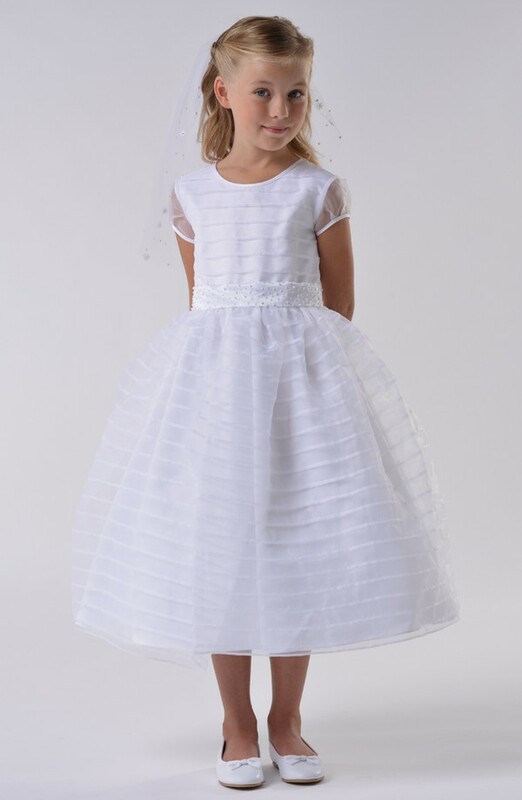 Us Angels Communion Dress -Lovely Pin-tucks in organza with detailed beaded sash. 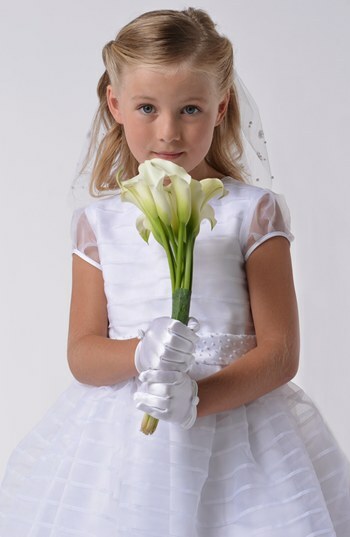 Puff sleeve is enchanting! Back zip closure. Fully lined. Hand wash cold, line dry. 100% polyester. By Us Angels; imported.